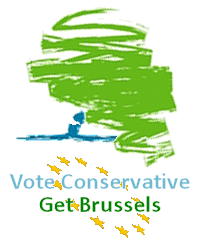 The Tories are still drip feeding the press with vague suggestions of an EU referendum whilst making it clear that it will be a referendum on "reform", not leaving. 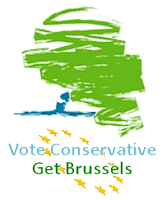 It will demonstrate very clearly that it is the Conservative Party at the next election that will be offering people a real change in terms of Europe and a real choice about that change. I don't think it's right to aim for a status like Norway or Switzerland where basically you have to obey all the rules of the single market but you don't have a say over what they are. There can be no "real change" other than the EU taking more sovereignty and money off us. As for having access to the single market but not having a say on the rules - that is just a nonsense argument and he knows it. Albania, Algeria, Andorra, Bosnia, Chile, Columbia, Croatia, Egypt, Faroe Islands, Iceland, Israel, Jordan, Lebanon, Liechtenstein, Macedonia, Mexico, Montenegro, Morocco, Norway, Palestine, Peru, San Marino, Serbia, South Africa, South Korea, Switzerland, Tunisia and Turkey all have access to the EU's single market via their own Free Trade Agreements with the EU but they haven't had to surrender their sovereignty to the EU, they don't have to give the EU billions of pounds a year to have access to it and they don't have to hand control of their legal system to the EU. Antigua & Barbuda, Argentina, the Bahamas, Barbados, Bahrain, Belize, Brazil, Brunei, Burma, Cambodia, Cameroon, Canada, Dominica, Dominican Republic, Grenada, Guyana, Haiti, Indonesia, Jamaica, Kuwait, Laos, Malaysia, Oman, Paraguay, Philippines, Qatar, St Lucia, Saudi Arabia, Singapore, St Vincent & the Grenadines, St Kitts & Nevis, Suriname, Thailand, Trinidad & Tobago, United Arab Emirates, Uruguay and Vietnam are all in the process of setting up Free Trade Agreements with the EU. They don't seem to have any problem with the idea of having access to the single market without setting the rules. We are talking about a matter of trust. He sits there and thinks his great extended tease about this forthcoming Europe speech is entertaining, it is not. No matter what he says now, after so many broken promises, so many 'cast-iron guarantees', can anybody honestly believe that he will be telling the truth this time? The simple fact is that he wants us to stay in the European Union no matter how it is configured. We have to wonder who to believe, Mr Cameron or the entire European political class, who say that the Prime Minister's promised tough negotiations are just impossible. Of course we must talk to our European friends, of course we must do business with them, but we must do so from a position of strength, rather than weakness.